SOEDESCO has announced when Xenon Racer will release on Nintendo Switch, a futuristic arcade racer that takes place in an era where flying vehicles are the way to get around. In the year 2030, the first flying cars have been invented and the World Federation Racing Championship is preparing for a new era of racing with hybrid cars. To give teams time to adjust to this fundamental transition, the Federation issues a season’s pause. Four of the world’s leading hybrid electric car manufacturers get together and decide to bridge this gap by organizing “Xenon”, a once in a lifetime championship for rookie drivers to help test the new technology with car prototypes running on a combination of electricity and Xenon gas. The Federation does not approve of this rogue championship and their missing endorsement means that the usual international racetracks cannot be used. Therefore, the gravity-defying racing action takes place in the bustling streets of cities worldwide, such as Shanghai in China and Miami in the USA. There are also races at more serene places; the Cote d’Azur in France and Lake Louise in Canada. Players will drift through futuristic city streets in Tokyo, Dubai and others, where, resisting massive G-forces, you will have to demand the utmost of the technology at your fingertips to race at breakneck speeds in your pursuit of eternal victory. 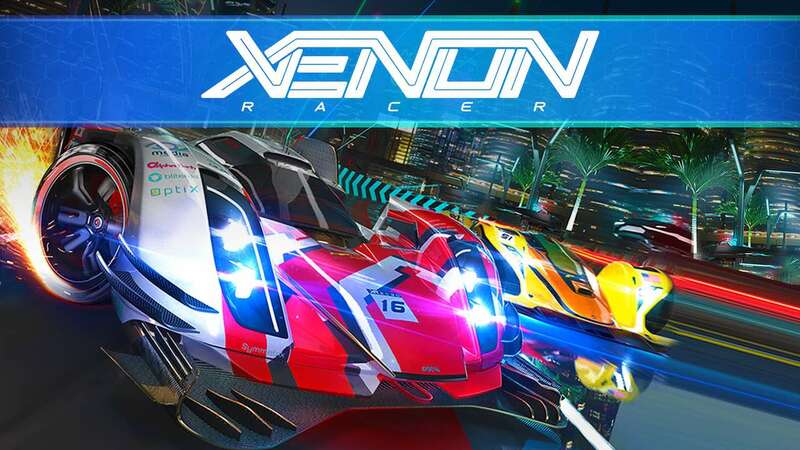 Xenon Racer will release at retail and on the Nintendo eShop for Nintendo Switch worldwide on March 26th.